Greetings to you. Well how are you all travelling? You are not really travelling at all are you? So, what does it feel like to feel stuck in one place and everything around you seems like it is moving? Isn’t that what it feels like at the moment? You are stuck but everything else keeps changing. Well at least you know that something is moving and it is a marvellous place to be- right in the centre of it- because when you are right in the centre of it you actually have the best view, because you don’t really want to be moving with the planet now do you? You want to be staying very still and anchoring. So what you are seeing as a movement in your life around you which is actually nothing to do with sequential movement – it is more about things not staying the same. So a lot of the time it is very subtle changes. What that really is about of course is the fabric of your reality is changing. Let us describe it to you like this, because you all understand what a dimensional shift is, you have all heard about it, you have all read about it, you have all been understanding a little bit about it. 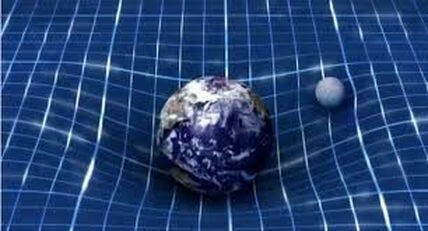 And there has been some talk about grids overlaying other grids… and then your reality jumps and there is a New Earth and an Old Earth, and there being two parallel earths and all this sort of thing, but we are going to explain it to you in a different way. Let us say that there is a piece of fabric and the piece of fabric is made up of billions and trillions of threads. And each one of these threads is an experience, or an aspect of consciousness, or a being, or an individual or an event – it matters not because all of these things are just aspects of consciousness. And when the time comes for more energy to be able to feed through, more consciousness to be able to feed through, more conscious realities are being present in your space, more of you is being able to turn up in your body, more of you is being able to turn up. What happens is the fabric and the weave of the fabric starts to stretch and it starts to stretch to let more light in. And so very soon the fabric gets very thin or appears to be very thin. It appears to be worn out – this is when you get tired in your life. This is when you start to feel disconnect from things that you used to be very interwoven with but now you can’t seem to touch things or access things. You can’t seem to feel like you belong in that part of the fabric because you start to see yourself separating from it. Likewise your experiences no longer seem sequential – you can’t say that I got from this part of the fabric to this part of the fabric easily because there are so many spaces in between now. And so the fabric gets stretched and stretched and stretched until you can’t actually see the fabric anymore. All you can see are holes. So you are actually looking at the space between the material, the space between matter, the space between your events, the space between your relationships, the space between who you think you are in relation to everything that happens in your life and this is where we start to disappear but at the same time something miraculous happens. You start to realise that you are a thread and your ability is equal to the ability of every other thread that makes up this fabric. So what would happen then if you decided to actually dis-identify with the thread? Where would you go? Where would you move to? What would happen? Well we would suggest unto you that you would drop right through those holes, drop right through them into the light and drop right into collective consciousness, drop right back into the cosmos…. and then what happens? Do you disappear? Do you go off floating into space? Is there anything left of you? Well fortunately for you the Earth requires a new piece of fabric, this time however the fabric is made up of different kinds of thread, it is a stronger thread, has more twine involved in each strand so it becomes multi-capacious. The threads are very closely knitted in this new fabric but the weave looks different so every thread is more aware of its place within the fabric. So this is what we would call the new fabric of reality the Earth is moving to. It is already there- it is true, but it is you who are dropping through the holes of the old fabric of your life that are going to land in it. And all you have to really do is let go because there is something there for you to go to. here is more capacity, there are more strengths, there are more skills, there is more conscious awareness, there are more ways of relating, there is more genius, there is more creative ideas, there is more supply – yes we know you are all thinking about the money. All of it! Because in this dimensional fabric – the 3rd dimensional and 4th dimensional reality – when you get spiritual and you start to drop through the holes you have to let go of the fabric and that means you had to let go of society, you have to let go of money, you have to let go of status, you have to let go of relationships. Kuthumi knows all about this – that is what happened when he went up the mountain. But that was before this other layer of fabric was readily available for you to transition to and now it is widely available to the entire planet so that when you choose to drop through and let go of your lives and your identities you have somewhere to land. And you have somewhere to re-identify very quickly, so even though we have been talking to you for some time know about losing your identity, it is actually a very quick, quick, quick transition. You are not going to be wandering around in the wilderness for days or months or even years. It can happen faster than the speed of light when you actually agree to let go and actually agree to be nothingness – you arrive. That is why so many that will make the transition won’t even realise that they have made it because their consciousness has already decided to move forward into the new era on the planet and suddenly they are in it. Children especially don’t have too much to let go of and they just move and they are there. So the 40 days and the 40 nights in the desert is it valid for where we are now? No it’s not and it is true to say that it will never be, but it had its time when there was sacrifice. Sacrifice was the idelology through which you gained understanding. Sacrifice is no longer required.